If you grew up in the late &apos;90s, the battle cry "Gotta catch &apos;em all" likely sparks images of Pikachu, Bulbasaur and the rest of the original 151 Pokémon. The newer set of Pokémon, like Steelix and Kingdra? Those are probably harder to evoke. Pokémon Red and Blue first debuted in North America in 1998, and the original generation of Pokémon became lodged in our minds as the sacred canon. Fast-forward to 2017, where each new iteration of Pokémon brings new monsters and new fodder for hate. "What has this world come to?" some ask. "These new Pokémon all look terrible," others say. But they&apos;re wrong. The new generation of Pokémon is just as good, if not better — and if you set aside nostalgia&apos;s rose-colored glasses, you&apos;ll realize the original set was seriously flawed. Many of the original 151 were undoubtedly cool. Magikarp and Gyarados allude to the carp in Chinese mythology, jumping over Dragon Gate to transform. Parasect is a reference to the fungus Ophiocordyceps, which zombifies ants and allows the fungus to use the bug&apos;s brain and body — which is why Parasect has no pupils. And Charizard is freaking Charizard. But the original 151 Pokémon were far from perfect, and timing prevented us from seeing them objectively. When we got to know them, we were useless kids with no critical-thinking skills. We had nothing to compare this group of Pokémon to. Now that we&apos;re seven generations deep, it&apos;s time to brush away the nostalgia that&apos;s been clouding our vision and take a closer look at the original Pokémon designs. As a whole, the group is far less cool than you probably remember. Like most things that tickle our sentimentality, when people talk about hating the new Pokémon, they conveniently ignore the good new ones and the bad old ones. "Bad ones?" you ask. "Poppycock. They were all perfect!" False. Some of them were lazy, unimaginative and even racist. In 2017, there&apos;s no way the Pokémon Company could get away with making a Pokémon out of a pile of sludge. Few people think of Grimer when they think of the untouchable gems that were the first-generation Pokémon, but this is a standout in terms of utter laziness. Guess what pile of sludge evolves into? A bigger pile of sludge. That one&apos;s called Muk, and the Pokémon cartoon&apos;s protagonist, Ash, actually had one. 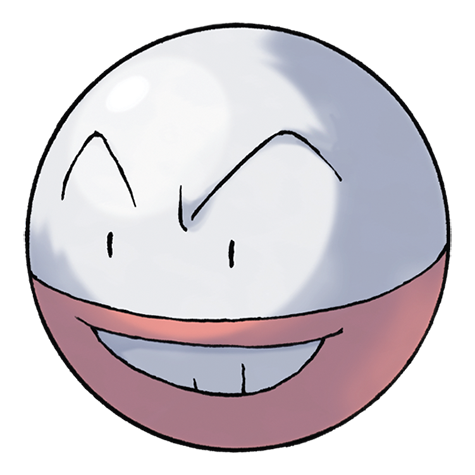 Voltorb is equally unimaginative. It looks like a Pokéball with eyes. The Voltorb designer clearly ran out of creature ideas and cheated off of the item-design team&apos;s work. And guess what it evolves into? An upside-down Pokéball. Genius. Original Pokémon creators, you&apos;ve done it again. When you say the original Pokémon are better, you&apos;re conveniently ignoring absolute failures like Jynx, who looks like a wig-wearing blackface caricature. Jynx, the "human shape" Pokémon, is meant to be a reference to Japanese ganguro culture. The ganguro look emphasizes dark skin (usually achieved by tanning), platinum blonde hair and dramatic lipstick and lipliner. It&apos;s no coincidence that Jynx looks like she&apos;s wearing blackface. Ganguro actually translates to "black face." The trend peaked in the &apos;90s and saw a resurgence in 2015. Then there&apos;s Porygon, which was featured in an episode of Pokémon that literally caused kids across Japan to have seizures. The 1997 Pokémon episode "Electric Soldier Porygon" followed Ash and friends as they traveled through the virtual world to fix a Pokéball transmitter machine. The episode sent 685 children to the hospital in Japan and never aired in the Americas or anywhere else outside Japan. OK, look, I&apos;ll admit some new ones are pretty dumb. Ice cream, sand castles and chandeliers shouldn&apos;t be in the running to get the Pokémon treatment. And it&apos;s almost a little too apparent that Garbador, the garbage Pokémon, was created at 5 p.m. on a Friday, probably before a holiday weekend. But not all the new Pokémon are as trash as Garbador. Bisharp is a Dark- and Steel-type Pokémon who — along with its previous form, Pawniard — has a badass chess-themed name and has badass blades for arms. Bisharp is cool as hell. Moreover, many of the new Pokémon are upgraded versions of the characters we already love. That makes them inherently better. Sylveon is a new evolution of the always-cute Eevee; it completely repels dragon Pokémon attacks. You may prefer classic Eeveelutions like Flareon or Vaporeon, but are they immune to dragons? Nope. Hawlucha is a lucha libre-themed bird with no chill. Here it is engaging in a minor altercation with Machamp. Litten is a Fire-type cat with "lit" in its name. And it walks like it knows it. And then there&apos;s Froakie, the 2013 version of Squirtle. The point is, not all old Pokémon are good; not all new Pokémon are bad. For every Charizard there&apos;s a Greninja, and for every lazy Voltorb there&apos;s a stupid ice cream Pokémon. For every pile of sand called Palossand, there&apos;s a pile of poison muck named Muk poisoning Pokémon&apos;s coolness. There are enough great new Pokémon that the laughably bad ones are mostly negligible. Although, if the creators are looking to trash some of the more lazy designs, let&apos;s just say we know a guy. Ready for even more Pokémon coverage? Check out the latest on rumored Nintendo Switch game Pokémon Stars, our definitive guide to Pokémon genders and our epic struggle to get a metal coat in Pokémon Go.